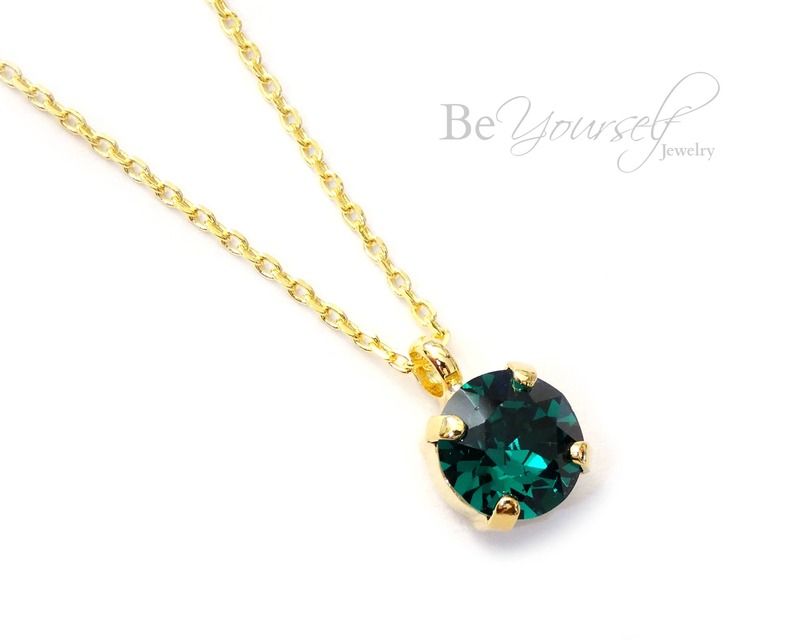 Super sparkly dark green and gold studs and necklace made with the gorgeous Swarovski Emerald stones. These crystal fancy stones are designed with precise machine-cut facet patterns that produce the signature Swarovski sparkle. The earrings are very lightweight and seat comfortably on the ears. Perfect for almost every occasion, this set makes a really nice gift for friends and family at a very affordable price! - Gold plated settings (also available in silver and rose gold). 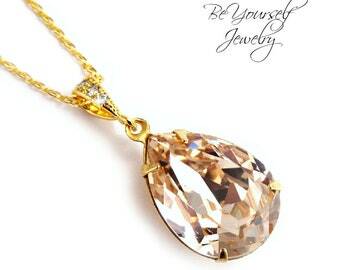 - This is a tarnish resistant, nickel, lead and cadmium free jewelry! Also available in several different colors and metals (refer to the color chart). Please contact us if you would like to order multiple items for your bridesmaids. We are very easy to be reached and usually reply our messages right away. Special discounts are available for multiple orders. Don't forget to read our FAQ below for more information. * Please note we only buy from official suppliers of Swarovski components for our work. Don't forget to follow us on Facebook, Instagram, Twitter and Pinterest. These are even more gorgeous in person. I can’t wait to wear them on my wedding day.